I am an artist and graphic designer from Bedfordshire, creating original modern prints with a vintage feel. 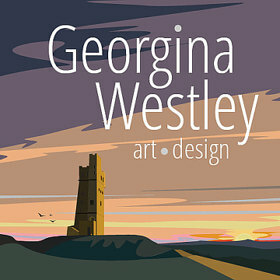 My work celebrates the local landmarks, the quirky buildings, the places that shape our everyday world. I try to find settings that are dear to people, that have meaning and relevance and then I get to work sketching. Whilst I take huge influence from the travel posters of the early 20th century, I have tried not to lock myself into a particular style or colour palette. Instead I prefer to let the venue dictate the tone.